As we move into full Awards and Holiday season, no major new movies opened in US theaters and domestic top rankings fell to a handful of familiar entrants. Among global newcomers, the biggest film to crack the top 10 was the Chinese action comedy A Cool Fish, which earned $25.1 million in its home market. It did, however, shut down hopes of a massive cross-cultural windfall for Crazy Rich Asians, which was crowded out of Middle Kingdom theaters and only earned $1.1 million in its launch there. A major disappointment, and on top of that Warner may have to review its plans for a sequel that is supposed to be based in mainland China. Barely inching into the top spots on the combined charts, Sony and Blumhouse's The Possession of Hannah Grace debuted in eight territories for a $10.6 million launch. $6.5 million was from US showings, while top foreign earner Mexico accounted for another million. Hannah Grace is about a city morgue worker who is attacked by zombies and ghosts. 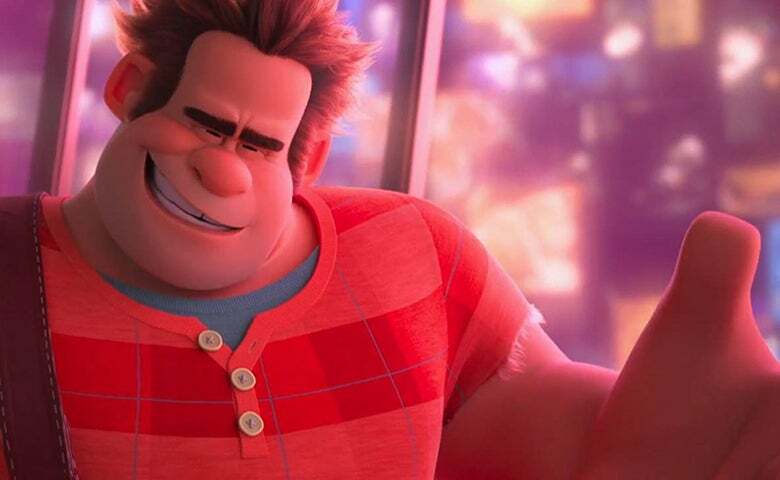 On the domestic front, Ralph Breaks the Internet came out on top once again with a $25.8 million take in its sophomore showing. It also took in $33.7 million overseas, taking its worldwide cume to $207 million. Ralph landed in the UK where its internet-based humor for a new generation of cartoon watchers and young families drummed up a solid $5.2 million. On another island nation at odds with its continental neighbors on the other side of the world, Disney's entry took $1.6 million in Taiwan, scoring the biggest opening ever for their animation division. Next on the combined chart is Fantastic Beasts: The Crimes of Grindelwald. It took $51.4 million worldwide this week and passed to half-billion mark to reach a global cume of $519.6 million. Grindelwald's next biggest market is the UK with $33.8 million, and it is finding comfortable second and third homes in Germany and Japan. It held the number one spot again in both countries and brought its local cumes to $29.2 and $25.4 million. France trailed closely with $24.4 million. One step down the chart, Fox's Bohemian Rhapsody earned the same milestone as Grindelwald, breaking the half-billion mark after its fifth week in theaters. A big launch in Italy worth $6.1 million and a strong return showing in Japan where sales jumped up 22% from last week helped it reach $37.1 million overseas. It's now at $539.6 million globally and looks to likely move close to $700 million before ending its run. Slightly smaller as milestones go but important nonetheless, Universal's The Grinch made it to $268 million global, passing the quarter billion mark in its fourth frame. Grinch took $17 million at home for a domestic cume of $204 million and made off with another $27.1 million overseas. Creed II added $10 million abroad and $16.8 million at home to reach a global total of $92.6 million, while Lionsgate's Robin Hood missed any chance left it had to hit a box office bullseye and ended its second frame with only $48 million worldwide. Next week will again be bare of major new films as studios gear up to launch their last tentpoles and start to push Awards hopefuls into more theaters.